New Delhi : This is the first time an interstellar body has been spotted inside our solar system boundaries. To make the best out of the situation, scientists are planning to check if they can find any alien technology attached to it. 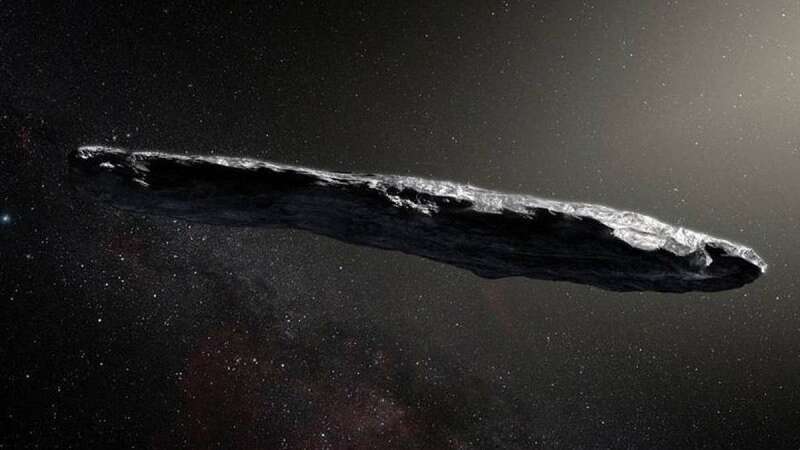 NASA on its website describes the interstellar interloper to be a rocky, cigar-shaped object with a somewhat reddish hue. The body is up to one-quarter mile (400 meters) long and highly-elongated - perhaps 10 times as long as it is wide. With its unique shape and size, the researchers are all dazzled with some believing that it could even be a spaceship that has arrived to learn about our solar system. "For decades we’ve theorized that such interstellar objects are out there, and now – for the first time – we have direct evidence they exist," said Thomas Zurbuchen, associate administrator for NASA’s Science Mission Directorate in Washington. "This history-making discovery is opening a new window to study formation of solar systems beyond our own." Some reports claim that scientists will be testing a radio signals to check if it has any form of alien technology attached to it. With scientists continuously keeping an eye on it via various telescopes, it has been learned that ‘Oumuamua is dense, comprised of rock and possibly metals, has no water or ice, and that its surface was reddened due to the effects of irradiation from cosmic rays over hundreds of millions of years'. Observations from large ground-based telescopes will continue until the object becomes too faint to be detected, sometime after mid-December. Oumuamua was first spotted on October 19 by the University of Hawaii’s Pan-STARRS1 telescope, funded by NASA’s Near-Earth Object Observations (NEOO) Program, which finds and tracks asteroids and comets in Earth’s neighborhood.